The classic tale of The Gingerbread Man comes to life in vibrant retelling perfect or beginning readers. Designed to encourage vocabulary development and help children read aloud, this story uses large font types and vibrant, contemporary illustrations to help early learning skills. It's a perfect addition to any children's library. 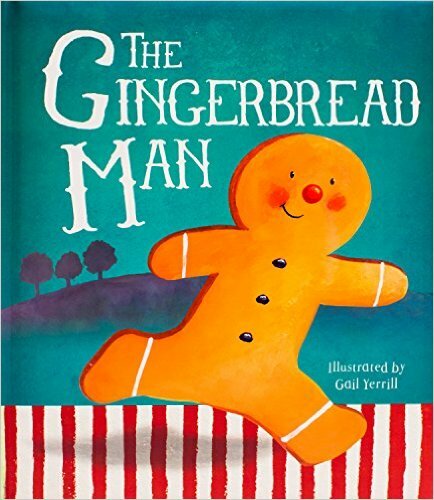 The Gingerbread Man by Parragon Books is another adorably cute classic story! The illustrations are extremely fun and creative and do an amazing job to keep little one's attention. I love that The Gingerbread Man by Parragon Books is easy for young children to read. My kids love the story of the Gingerbread man and I feel The Gingerbread Man by Parragon Books is a classic book that should be in every child's library! You can find The Gingerbread Man on Amazon and other bookstores.